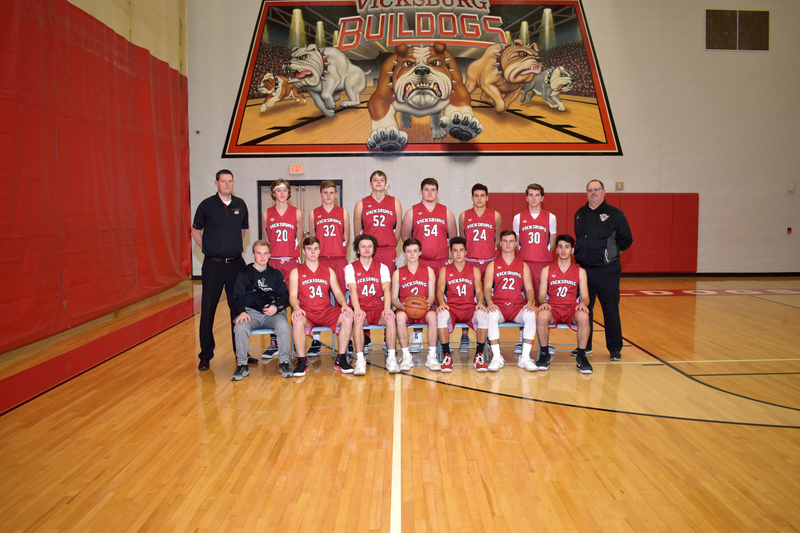 Varsity Basketball: Seated, from left: Manager Jacob Baird, Shane Earl, Ethan Razmus-Buscher, Ben Johnson, Chase Myers, Tyler Burr, Tommy Loriso. Standing, from left: Assistant Coach Josh Summerfield, Dillon Shook, Lucas Hatridge, Tyler Kienbaum, Kyle Rose, Jacob Conklin, Jared Gorsline, Coach Jeff Lovell. Not pictured: Joost deBruijn. Photo by Lisa Harbour.